The gong is much more than a musical instrument – it is known to be a most powerful instrument of healing as it releases reverberating tones of fullness and resonance. 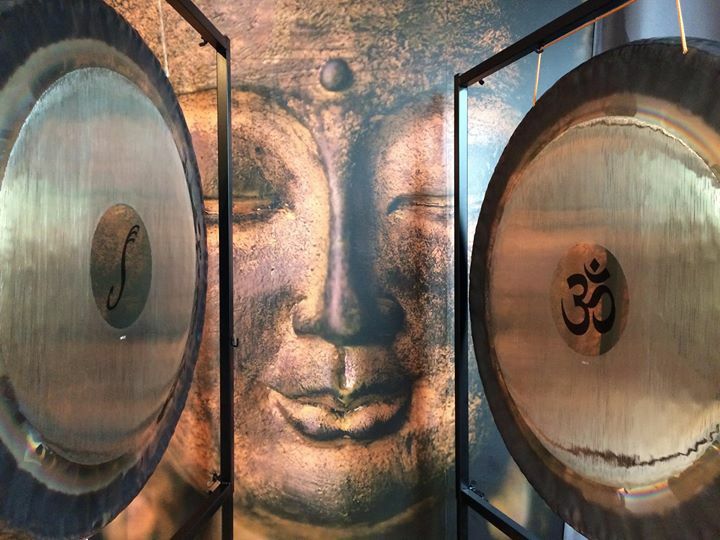 The gong bath experience is like being wrapped in a powerful cocoon of pure holistic resonance, enabling the listener to disappear completely in the sound field and resulting in a profound sense of well being and inner peace. People emerge feeling relaxed, re-energised and refreshed. As a musician and a student of energy medicine, healing and yoga, Charlie has developed an understanding of how all of these practices are interwoven and complement each other. Sound (Nada नाद) is all around us, whether in the form of music (which is really just organised sound), in nature, in our speech, in the chaos of the city. Charlie’s spiritual name is Nadapriya, meaning creator of the divine sound, and it was given to her in India when she qualified from her first yoga teacher training from Sivananda Yoga Vedanta. The easiest way to book is online - just click the button below. Please make sure you have read all the details of the event, have made sure you are eligible to attend (eg for 'going deeper' events) and are willing to make any commitments that are required. Bookings are fully refundable up to 7 days in advance. After that we cannot usually offer refunds. Please include your name, email and phone number with your booking.